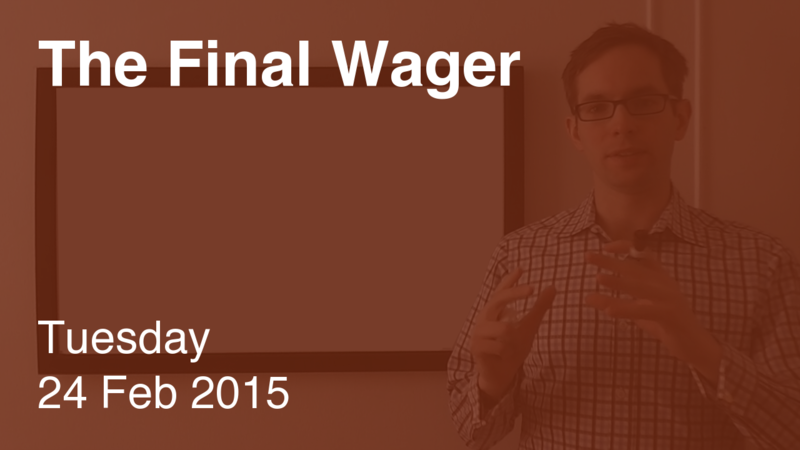 I have a new name for tonight’s analysis: the Quasi-Penultimate Wager. …far more interesting is the Daily Double Dava-Leigh found with three other clues remaining. There’s a full analysis in the video, but I would have wagered either $601 or $4,601 to force Shannon to get either two or three clues correct. Dava-Leigh wagered $2,200, got it right, and properly picked the $1,200 clue so as not to give Shannon a chance to tie it up. 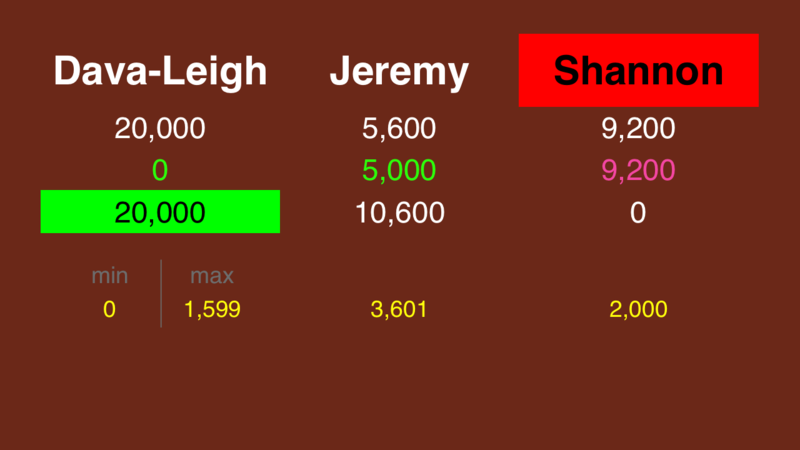 That’s a little too much for my blood, because if time expires before another clue is played, she’ll have slightly less than the $16,001 needed to guarantee a victory. Always force your opponents to get it right. Given Jeremy’s solo get, it’s moot. But what would have happened had he also missed?